A few days ago, Hester Ford celebrated what was believed to be her 113th birthday. But census bureau documents show she was actually born in 1904, not 1905. CHARLOTTE, N.C. — It's quite a feat to live long enough to make it to your 112th birthday. It's an absolute miracle to leap to 114-years-old the next year! That may be the case for Hester Ford who lives just north of uptown. 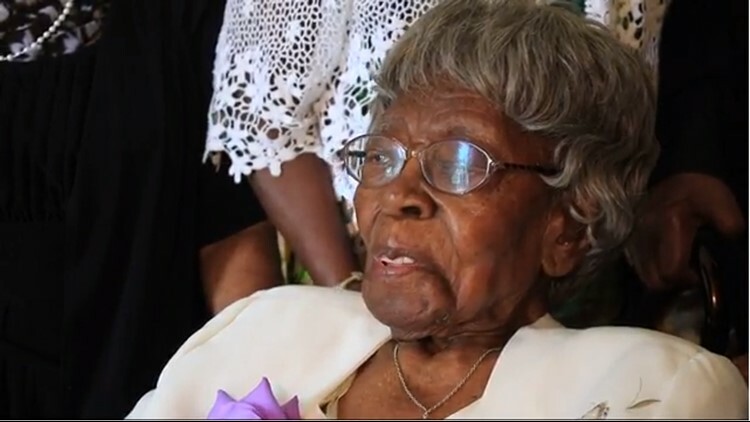 NBC Charlotte visited her in 2017 when she turned 112-years-old. A few days ago, Ford celebrated what was believed to be her 113th birthday. However, her daughter, Hattie Thomas, said the family found census bureau documents that show Ford, the oldest living person in the Carolinas, was actually born in 1904, not 1905. That would make her 114 years old. According to Wikipedia, Ford is listed as the fourth oldest living American supercentenarian. If the census bureau documents hold up, she would jump to number one on the list, just ahead of Lessie Brown of Ohio. Brown will turn 114 on September 22. Ford was born in Lancaster, South Carolina. She worked on a farm where she not only planted and picked cotton but plowed the field and cut wood. The supercentenarian had 12 children with her husband -- eight girls and four boys. She moved to Charlotte in 1953 where she worked for more than 20 years as a nanny for two families in Myers Park. Ford also had 48 grandchildren, 108 great-grandchildren and approximately 120 great-great-grandchildren. The lady of longevity is a devout Christian and spent many years volunteering at her local church. She can recite many Bible verses, but her favorite is Psalm 23. Thomas told NBC Charlotte it will take several days to investigate those census bureau documents. By the way, Wikipedia lists the second oldest living person in the Carolinas as Helen White of Marion County, South Carolina.